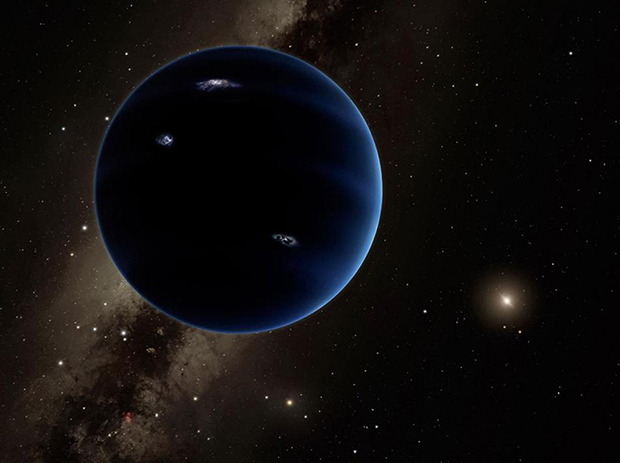 For a long time now, there have been theories and rumors regarding the possible existence of another planet in our Solar System, far beyond Neptune or even Pluto, often referred to as “Planet X.” Unfortunately, there has been little hard evidence to back up any claims made. But now, new evidence has been presented by astronomers at Caltech which increases the likelihood of another, and fairly large, distant planet in the far outer reaches of the Solar System. 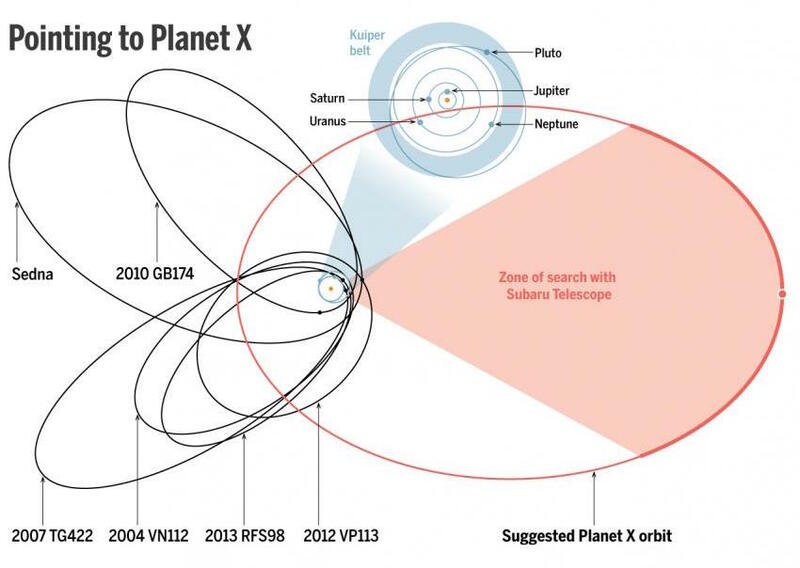 How does this compare to other discovery claims for Planet X? If confirmed, the new planet, dubbed “Planet Nine” for the time being, would have a mass about 10 times that of Earth and orbit 20 times farther from the Sun than Neptune, on average. Since Neptune has an average orbit of 2.8 billion miles from the Sun, that is a long way out indeed; it would take this planet between 10,000 and 20,000 years to complete just one orbit. With an estimated radius of two to four times that of Earth, the planet’s size might make it comparable to “super-Earth” exoplanets which have been found orbiting many stars now – significantly larger than Earth, but smaller than Neptune or Uranus. The new evidence, presented by researchers Konstantin Batygin and Mike Brown, comes from mathematical modeling and computer simulations at this point. Even at its large size, it will be difficult to see it visually since it so enormously far from the Sun. 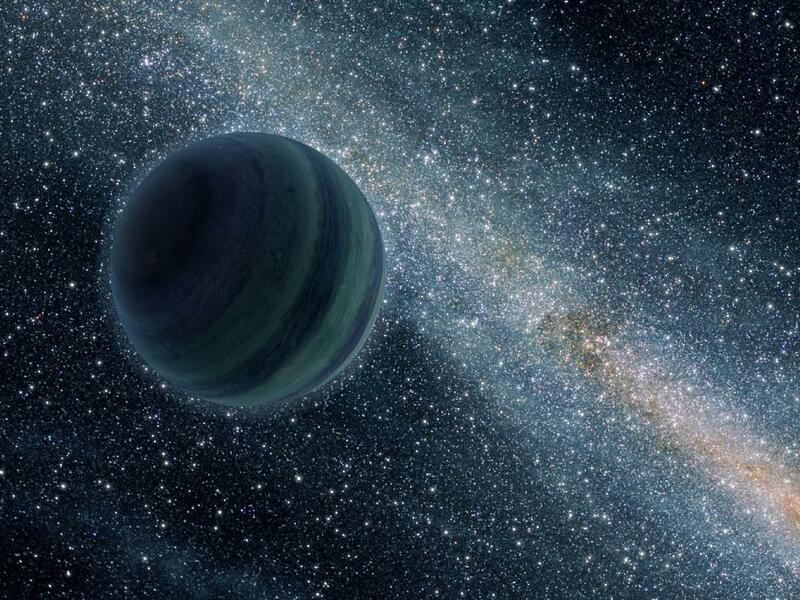 Their findings are in the new paper “Evidence for a Distant Giant Planet in the Solar System,” which is in the current issue of the Astronomical Journal. The two researchers admit to initial skepticism about their discovery. Brown, who has received a lot of negative press for his role in demoting Pluto to a dwarf planet, maintains that there shouldn’t be any problem classifying this world as a true planet, calling it “the most planet-y of the planets in the whole Solar System.” This is due to the fact that it gravitationally dominates its neighborhood, which dwarf planets don’t do. It actually appears to dominate a larger region than any of the other planets, even Jupiter or Saturn. But would it be the ninth, tenth or eleventh planet? That would seem to depend on who you talk to. Regardless, however, if this new planet is confirmed, it will be a new world, never seen or explored before. That in itself is exciting, of course. Taken together, the evidence is persuasive that there is indeed a massive planet out there, remaining unknown until now. Also, being a “super-Earth” as suggested perhaps shouldn’t be too surprising since many of those types of planets are now being discovered orbiting other stars. So why not one in our own Solar System as well? It should be noted that “super-Earth” simple refers to a type of planet which is usually rocky, but significantly larger than Earth. It doesn’t imply anything about potential habitability. Whether Planet Nine is rocky or more of a gas or ice giant simply isn’t known yet, although it is considered likely to be similar to Neptune. If it’s really there, why wasn’t it found already? A study in 2013, based on data from NASA’s Widefield Infrared Survey Explorer (WISE), ruled out a Saturn-sized planet as far out as 10,000 AU. But if this planet is the size it seems to be, smaller than Neptune, WISE could easily have missed it, according to Kevin Luhman, an astronomer at Pennsylvania State University, University Park. Now that astronomers have a good idea where this planet is, the search begins to actually find it with optical telescopes. We now know that there actually are many rocky and icy bodies out past Neptune, in the Kuiper Belt, but they are all very small, more like asteroids or a bit larger, such as ones like Pluto or Sedna. The new findings suggest, once again, that there is a larger planet lurking out there, but it’s not conclusive yet. That will take more research and searches with telescopes to validate (or not). History has shown that previous claims tend to be unsupported with later analysis, and so caution is always in order. And no, none of this has nothing to do with Nibiru, a pseudoscientific belief in a large undiscovered planet which would collide with Earth, based on teachings by Zechariah Sitchin. That doomsday was supposed to happen in 2003… the real Planet X, if it can now be definitively located, will certainly be interesting enough all on its own. The discovery would help astronomers better understand the formation of our Solar System as well as others, and how unique (or not) our own family of planets really is compared to the many others which are now being discovered on a regular basis. Sometimes an apparent discovery pans out and sometimes it doesn’t, that is how science works. Let’s hope that this time Planet X is real. 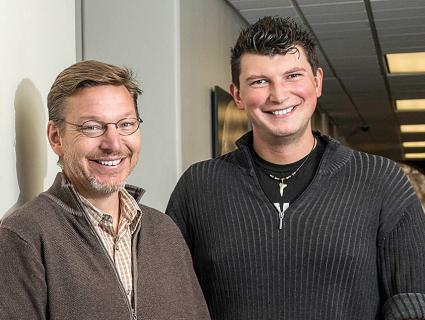 Batygin and Brown have also started a new blog, called The Search for Planet Nine. All the emotive controversy about whether Pluto is a planet or a dwarf planet strikes me as puerile. We now have a huge amount of hard data on how Pluto moves, what it actually is and how it may have taken its present form. Astronomers should devote all their available time and energy to exploring, discovering and understanding the physical principles and processes that govern celestial mechanics and planet formation. Who cares about terminology? Does Pluto care? Does the cosmos? No – only humans, who have this tendency to get worked up about nothing. What’s in a name? What bearing does it have on our understanding? Why indulge in pointless, counterproductive mudslinging over such a petty issue? 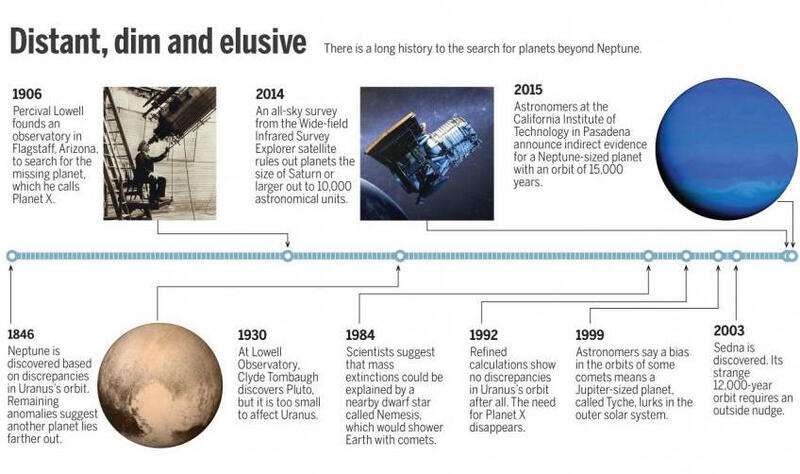 Why on earth did astronomers get emotionally attached to Pluto’s planetary status?